With so many amazing things to see and do, planning your first trip to Cowtown can prove overwhelming. And while there are a few must-dos, here is a rundown of everything you need to consider adding to your trip itinerary. It’s Cowtown, y&apos;all. If you’re looking to live out your cowboy fantasy, this is the place. Fort Worth was one of the last stopping points on the Chisholm Trail during the Cattle Drive Era in the mid-1800s. And life today doesn&apos;t look much different in this historic district. Stop by and witness the world&apos;s only twice-daily cattle drive and the world&apos;s only year-round rodeo or sing-a-long with the Cowtown Opry on Sunday afternoons. You can also hit up The Love Shack for a burger or Riscky’s BBQ for some hearty ribs before heading to Billy Bob’s Texas, the world’s largest honky-tonk. Expect 127,000-square-feet of pure entertainment. 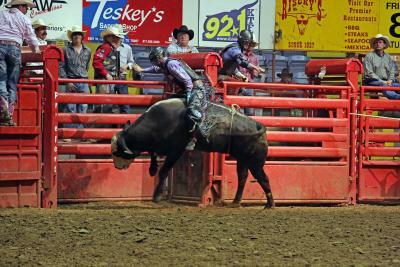 There&apos;s live bull riding, a cafe and gift shop, two dance floors and over 30 bar stations. It’s a late night well worth it. Don&apos;t forget to try their signature shot - "The Three-Legged Monkey." Hit the water at this new hot spot. 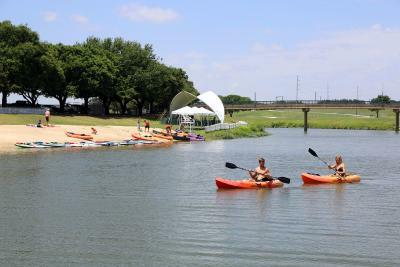 Tubing, kayaking and paddle boarding are popular ways to enjoy the Trinity River. Panther Island Pavilion is the main location where year-round events such as Oktoberfest, Fort Worth&apos;s Fourth and Rockin&apos; the River are held; however, if you float a little further down the river you will run into Coyote Drive-In Movie Theater. The modern-day drive-in shows double features on three large screens and sells snacks and beverages from the The Canteen. This pocket neighborhood just east of downtown Fort Worth is no stranger to the city. The culinary scene has been vibrant for decades and lays claim to more mom ‘n’ pop barbecue and soul food restaurants per capita than in any other part of the city and is well worth the visit. Situated near the popular University Village shopping center and just minutes from the TCU campus, WestBend is unique in its relatively diverse mix of office space and places to eat and shop. Well known eateries such as HG Sply Co. and East Hampton Sandwich Co. now call the area home as well as luxury retail vendors Pax & Parker, Dear Hannah and The Woodhouse Day Spa. 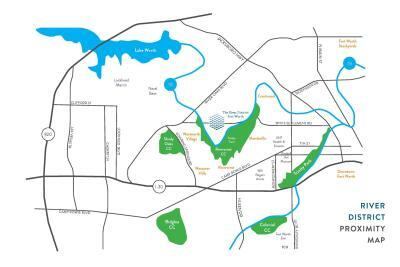 Just beyond the Cultural District along the Trinity River is the newly developed River District. Salsa Limon, Lettuce Cook and Heim BBQ (coming 2018) all call the area home. Another riverfront development, this 63-acre mixed-use property is located off of Bryant Irvin Road and is home to Whole Foods, REI, Sur La Table and many new restaurants. The Fort Worth Zoo is something to marvel at indeed. With more than 7,000 native and exotic animals, it&apos;s ranked one of the top 5 in the nation. And in the summertime, visitors are invited to cool off at the splash pad, Safari Splash. Need rest? This is a delightful respite in the busy city. You can meander through 23 specialty gardens in Texas’ oldest botanic garden, including the very beautiful Japanese Gardens. 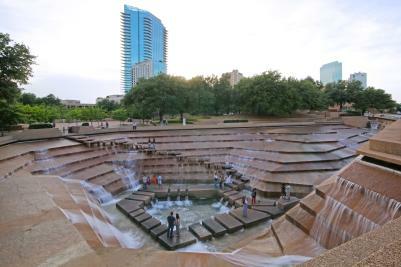 Take a moment while discovering downtown to visit the Fort Worth Water Gardens. Adjacent to the Convention Center, the garden is an impressive architectural installation and houses three water features. If you are after a steak while in Fort Worth, look no further than the renowned Reata Restaurant in Sundance Square. The food is excellent, and the views from the rooftop bar and one-of-a-kind Dome are superb. 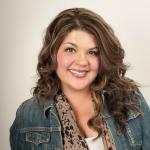 Bonnell’s has won a lot of awards, and for good reason. Chef Jon Bonnell serves up “Texan Cuisine” with a twist. The Elk Mini Tacos and Venison Carpaccio are must trys! 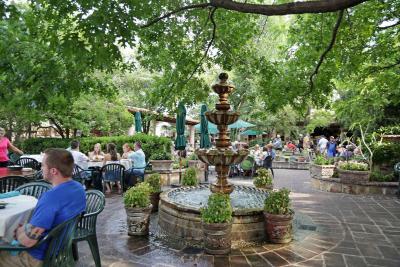 A Fort Worth staple since 1935, dining at Joe T&apos;s is as much about hanging out on the patio with margarita in hand as it is about the food. Serving up patrons in the Near Southside for over four decades, this unpretentious breakfast spot is known for serving breakfast dishes that taste like home: biscuits and gravy, crispy bacon and hearty omelets and pancakes to your hearts content. 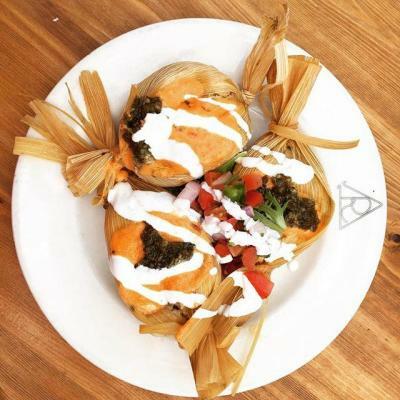 Treat your taste buds to these alternatives to Fort Worth&apos;s quintessential restaurants. Museums are abundant, but we have some of the best in the country. Home to the only Michelangelo in the country and numerous special exhibitions, the Kimbell Art Museum does not disappoint. The Fort Worth Museum of Science and History has as many exhibits for adults as they do for children, along with a Planetarium and the OMNI IMAX Dome. The Amon Carter Museum of American Art was designed by the same architect as the Fort Worth Water Gardens and admission is free. The National Cowgirl Museum and Hall of Fame and the Modern Art Museum round out the area. The world-renowned Bass Performance Hall is the permanent home to the Fort Worth Symphony Orchestra, Texas Ballet Theater, Fort Worth Opera and the Van Cliburn International Piano Competition. Performances in the Hall run year-round while free, docent-led tours are offered select Saturdays at 10:30 a.m.
As a part of the Big 12 Conference, TCU hosts some great collegiate sports. In Texas, football is king and catching a TCU football game is something truly enjoyed by Fort Worthians. Come out for the tailgate and make some friends, just be sure to wear purple! Located in the heart of downtown, this 35-block entertainment district is lined with cowgirl chic outfitters like Retro Cowboy, Earth Bones and Coyote Urban. Main stream shops include H&M, White House Black Market, Ann Taylor Loft and Francesca&apos;s.
Walking through this trendy area that links downtown to the Cultural District you will find West Elm, Flirt Boutique and plenty of restaurants. This brand new shopping center is set to be THE go-to area for luxury shopping in Fort Worth. Anchored by Neiman Marcus, luxury brands Tiffany & Co., Tory Burch, Tumi, Louis Vuitton, Burberry and more will open Fall 2017.